Andy needed to go to the garage to get some new tyres for his car and he was taking Alice with him, but once they were back we were off out. Then the phone call came, the tyre delivery hasn’t arrived yet, I’m taking Alice into town while we wait. My heart sank, I knew that meant by the time they got back we wouldn’t have time to drive somewhere before the girls would need lunch and Holly’s nap! I was disappointed, all my excitement of a day out left me. There was nothing we could do, Andy needs the tyres done ready for work on Monday and that is just life throwing a curve ball at you. My the end of the weekend I was still feeling a bit down and decided that a day out with my girls is what I needed. We love to spend time with my parents and luckily they love it too, so I invited them along too. We headed to one of our favourite garden centres, which also has animals for the girls to see and a playground. Plus, they have a lovely cafe for lunch and yummy cake, always a winner. I packed the girls into the car and we were off, Holly fell asleep straight away which was a bonus as it meant we could spend a bit longer there before she would need her nap. Driving along chatting away to Alice, I could feel my mood lift. We pulled into the car park and got ourselves organised, just as nan and grandad arrived. The girls rush over to say hello and we head off to see the animals. 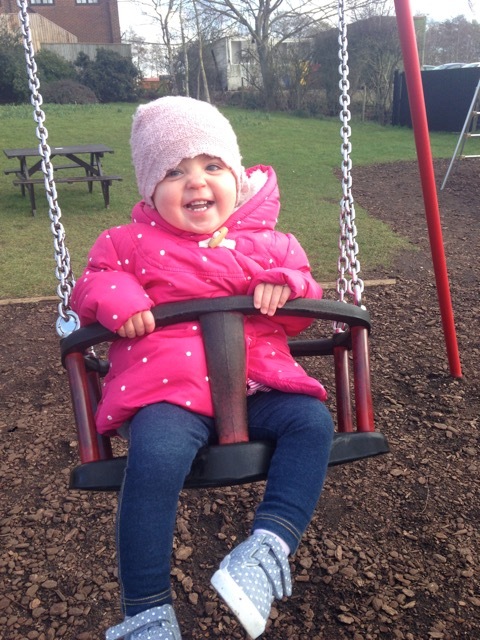 The sun was shining and the sky was blue, it was the perfect weather to wrap up warm and enjoy some fresh air. Just what we all needed, I think. Unfortunately not all the animals were out, but that was ok, there was enough to keep them interested and then we headed to the playground. At one point I looked at my girls, Holly being pushed in the swing with grandad, giggling away as he played peekaboo with her. Alice over on the slide showing nanny how clever she was to climb the ladder by herself. It made me so grateful to have my parents live close by and to play such a big and important role in their lives. My girls love them to bits and it melts my heart to see them together. It was one of those perfect days, there were no dramas, no tantrums, just lots of fun and laughter. Anyone with children will know that these days are rare and normally you can guarantee at least one bit of drama! But not today, it was a great day out. As we said goodbye to nan and grandad, climbed back in the car and set off home, I felt like a different person. Like the refresh button had been pressed and I was back ready to face the ups and downs of motherhood again in a calmer place. I have come to realise over the last six months, that I need these moments to recharge the ‘mum battery’. Sometimes I do this by doing something for me and not having the girls with me, it’s healthy for us to have a few hours apart. But sometimes that is not always possible, life gets in the way and so I am grateful when it can happen when the girls are with me. By taking this time, it makes me a better mum (not a perfect mum, just a better version!). Looking after my two girls, is constant, all day long one of them always needs me or needs something. Of course this is what being a parent is all about and I love being their mummy. But it doesn’t make it easy to deal with all day, every day. Being a stay at home mummy is one of the most rewarding and toughest jobs I have had and I have had to deal with some pretty horrible bosses in my time, ones that have made me cry! 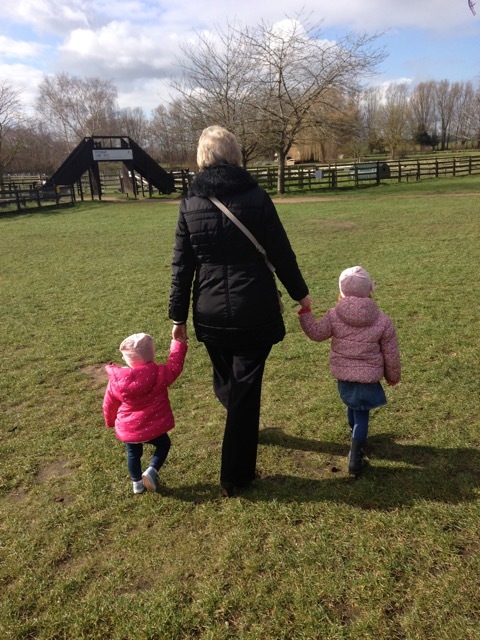 I wouldn’t change it for the world, I love being there for my girls in these early years when they need me and I am grateful that I get to do it. This isn’t me moaning about it, this is me just saying that I need to take time for myself every now and again. Days like this make me look forward to the summer, where we can spend more time outside and going to lovely places. I really notice a difference when we can all get outside and have some fun. 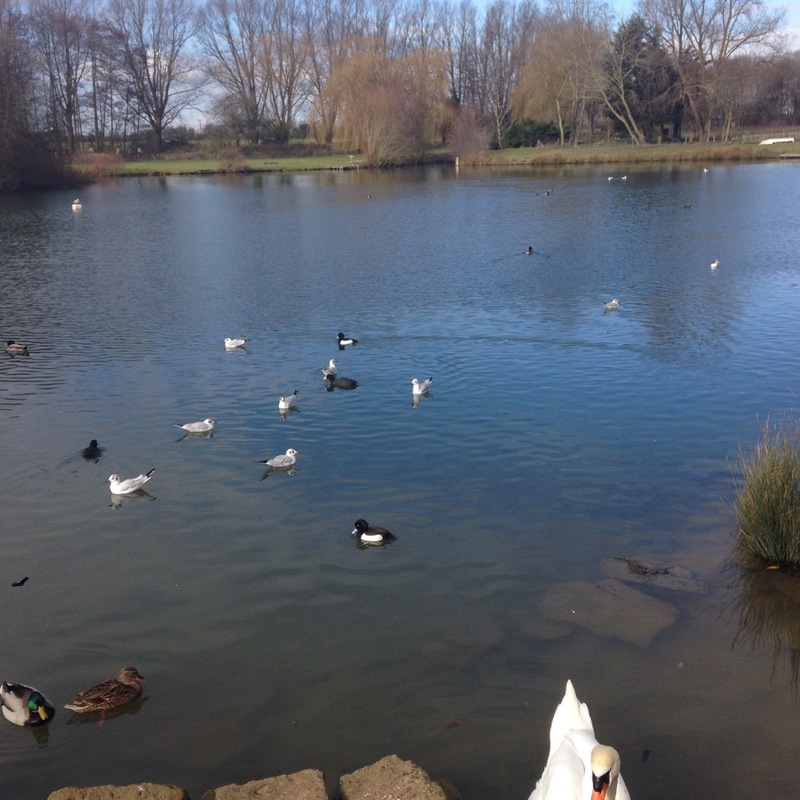 A simple walk, feeding the ducks or a trip to the park. How do you recharge your mummy/daddy batteries? Such a great idea to change up your usual routine from time to time and do something new on your own or with your family. 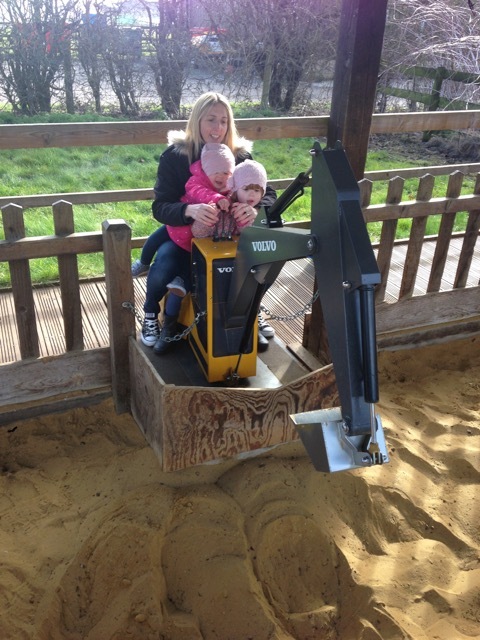 I don’t drive, so I always look forward to the weekends when my husband can take us somewhere a bit further from home, it always lifts the spirits of the whole family 🙂 Looks like a great day out that you all had! I totally agree. I find if I don’t have a little break to recharge, I start to get very tetchy and feel very unmotivated. A fun day is lovely to give everyone a lift. I love when a day like this comes along – I think we all need one every now and again! It just refreshes everything and you feel all positive again. It looks like you all had a lovely day. It’s lovely to be able to meet up with your parents as well – I’m so grateful that we moved closer to mine a few years ago. Parenting is always a million times easier when there are other adults to bounce off! It’s very important to spend quality time with yourself. Me, I exercise daily. It’s my time where I get to do something just for me. Sorry to hear you haven’t be well. I love to get out and about, and do enjoy the time I have on my own while the kids are at school. I go to an aqua-aerobics class 2-3 times a week, and it’s that that keeps me sane – however stressed or fed up I am before I go, I always feel like a different person after! I think every Mum reading this will be able to relate to what you say, being a Mum is 24/7 and when things go wrong it can feel too much but a little time away or something that works out better than expected, like a day out with the children loving the fresh air and a minute for you to step back and appreciate them, is all it takes to recharge your batteries. A lovely post. Aw it sounds like a lovely day and this place looks great! Fresh air can make all the difference sometimes. Me time is good, but it’s not always fun being packed off to a spa! My favourite time Is to spend time with both my boys, big carrying little, in the rucksack on a nice walk. I’m free to roam but still have their company!